Are you looking for Home Remedies for Fleas on Dogs? If you want some healthier solutions that keep chemicals away from your dog then try home remedies for fleas. 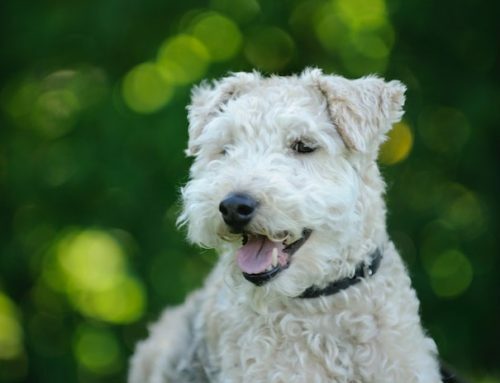 There are home remedies for your dogs, in the home, and in the yard. They are effective, convenient, and safer than many commercial remedies. Are there fleas near me? You can find fleas are found throughout the contiguous United States (US). 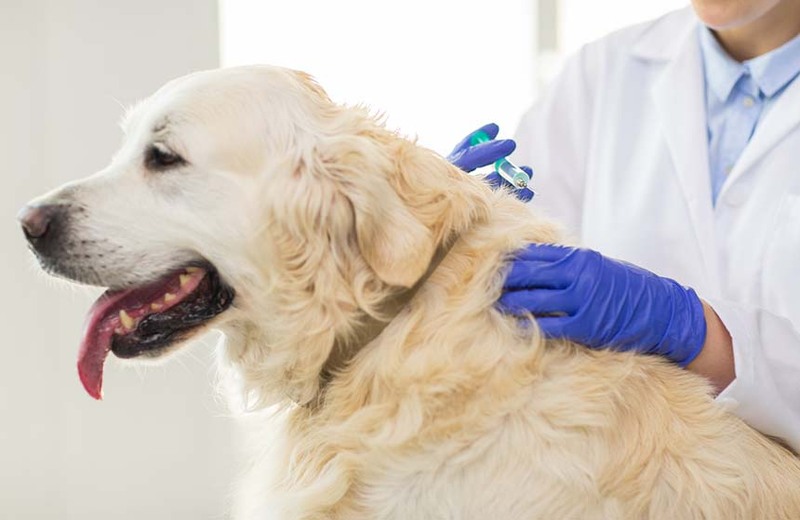 You can find fleas on dogs primarily during the spring and summer months. According to the American Kennel Club (AKC), fleas are found year round along the West Coast and in the southern US. In other states your dog can also catch fleas from April to November when the temperatures are warmer. 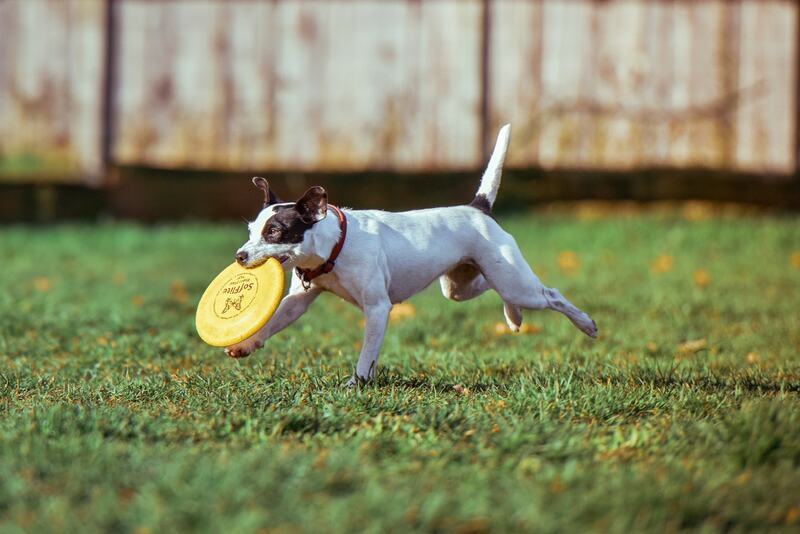 Flea season in the US per state can be found at AKC Flea Seasons. What are Some Basic Symptoms of Fleas? Dog owners can detect fleas by looking in the dog’s fur where the flea eggs will show up as black dots on their skin. You may also notice the fleas jumping on or off the dog! It is best to check in areas where fleas like to hide such as armpits, ears, or in the groin area. Additional information on checking for fleas can be found at PetMD/Flea Diagnosis. 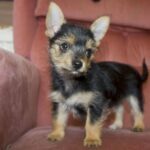 Fleas transfer from dogs to furniture, bedding, carpet, and other household surfaces. They can bite humans as well putting family members at risk. 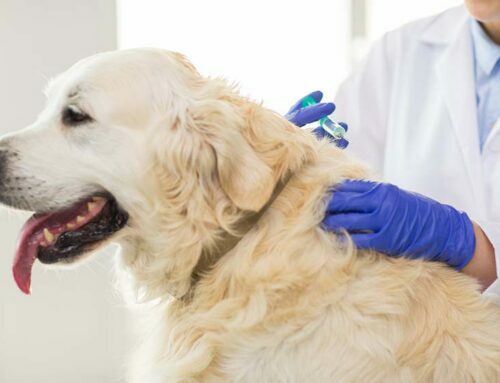 Your dog can get infections from flea bites so they should be gotten rid of as soon as possible. Because they can live up to 100 days, getting rid of them can often take a few weeks to completely remove them from your home. Along with treating your dog and home, reducing their numbers on the lawn should be part of the treatment as well. This will keep from reinfecting your dog. While you can find effective commercial treatments, these may contain chemicals and/or pesticides. Dog owners can use several natural home remedies to avoid use of unwanted chemicals and pesticides for removing fleas. They are convenient since the most popular use commonly found household ingredients. Check out these home remedies for fleas on dogs below! You should begin with home remedies to kill fleas on your dogs first. 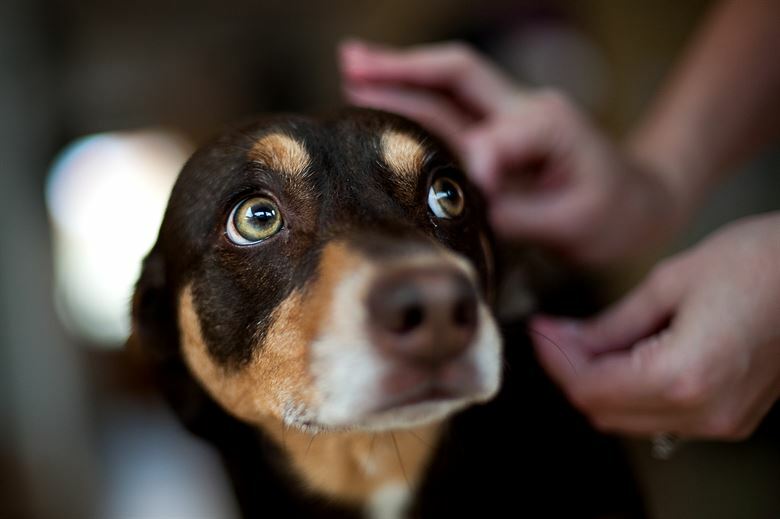 You can use apple cider vinegar, Dawn dish soap, and/or coconut oil as home remedies for getting rid of fleas on dogs. Tea Tree Oil is discussed but it is not as highly recommended due to some possible toxicity when the dog licks it off the skin. You can choose from several recipes out there for homemade dog shampoo for fleas. 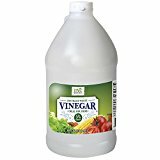 The most popular is a mixture of water, vinegar, and baby shampoo or dish soap. 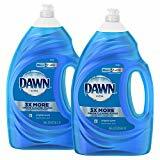 People highly recommend Dawn Dish Detergent. Apply the solution with a thoroughly cleaned spray or squirt bottle working the shampoo into your dog’s fur, particularly along hard-to-reach areas down the spine, the base of the tail, the chest, and under the forearms, and let it soak in for at least five minutes before rinsing. Comb or brush your dog during that time to remove dead fleas. *Dawn and baby shampoo should not be used too frequently on dogs as it may dry out their skin and should not be used on dogs with a dry skin condition. Instead, you may want to try a liquid castile soap, like Dr. Bonner’s and use of dry shampoo between baths is recommended. *Does Dawn kill fleas? Dog Owners mentioned by name more often than any other soap brand and effectively kills fleas particularly when combined with apple cider vinegar in water. How often should I apply dawn dish soap for fleas? We recommended that you repeat treatment for a few days and you should see that your pet is no longer scratching and biting. 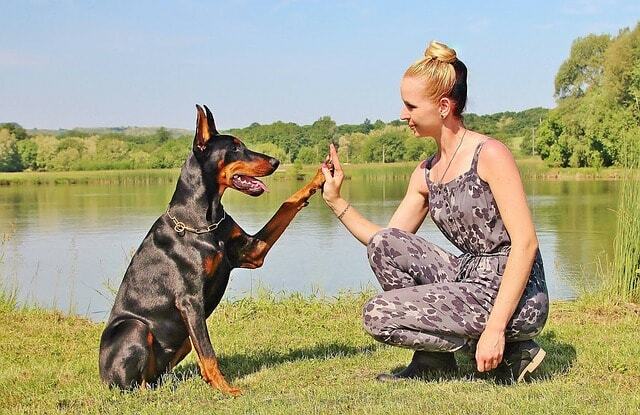 You will notice that your pet’s coat is very shiny and beautiful as well. Repeat treatment once a week or so for preventive maintenance along with adding a tablespoon in their food once a day for added internal benefits and your pet will appreciate this added treat as well. 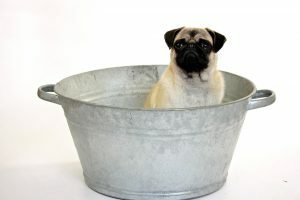 If you bathe your dog say, more than once a month or so, you run the risk of drying your dog’s skin. A dog’s natural hair and skin chemistry reassert themselves during bathing. You should give them time to do so. You can use a homemade dry shampoo for dogs between traditional baths. Dog owners tend to use baking soda in dry dog shampoos. 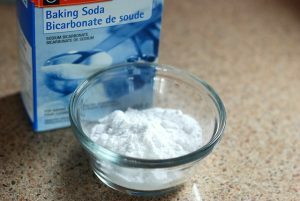 Dog owners can obtain Baking soda easily at any grocery store. 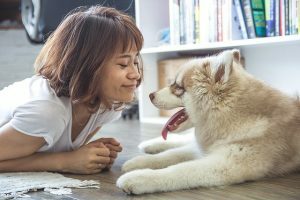 Massaging a dry shampoo into your dog’s skin will be enjoyable for your dog and you can avoid the resistance you might face in the traditional wet bath scenarios. 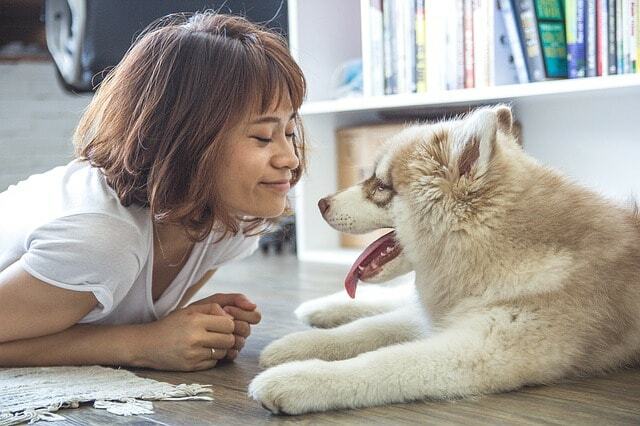 Several homemade dry shampoos for dogs also include baking soda and the following mixture has been used successfully by many pet owners. A few drops of an essential oil –- lemon and lavender seem to be the most popular. 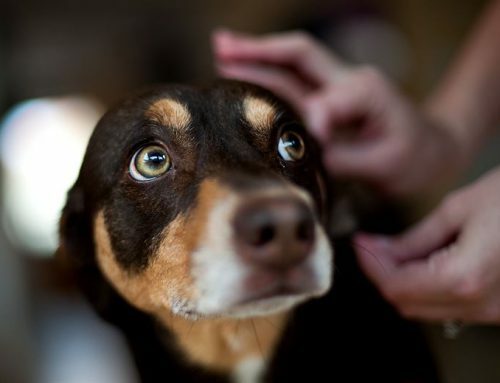 Sprinkle the mixture on your dog and massage it into the dog’s skin with your hands or with a comb or brush. It is best not to use too much baking soda at a time — a cup for a mid-sized dog, half a cup for a very small dog or puppy — and not to apply this method too frequently, since the residue from the powder can accumulate, no matter how much a dog shakes himself afterward. A dry shampoo for dogs is a good stopgap, but nothing replaces regular bathing. You Can Buy These Ingredients on Amazon! Coconut oil contains lauric acid which acts as a repellent to fleas and ticks and aids in reducing infection. It is is non-toxic so if your pet licks it (as they usually do), it is perfectly safe with no short or long-term toxic side affects. Coconut oil is a saturated fat containing over 40% lauric acid and it is believed that the fat in the oil literally suffocates the fleas. If your animal has already been infected then cover your hands in coconut oil and rub them together until the oil becomes liquid. Working in sections, massage the liquefied oil onto your pet’s coat making sure to work it all the way down to the skin. Once your pet’s coat has been covered, use a flea comb or other fine tooth comb and run it through their fur. You will notice that the fleas stick to the comb because of the oil. Some fleas may jump off your dog because of the repellent nature of the lauric acid and any that don’t get away will suffocate. Since they can jump, it is best not to do this inside your home. Using Essential oils for fleas on dogs is another home remedy to kill fleas. Tea Tree Oil is one of the most commonly referenced,but according to PetMD, ‘when diluted and used safely, tea tree oil can kill and repel fleas. But it is among the herbal treatments listed as “especially risky” in the Merck Veterinary Manual. This is because tea tree oil is difficult to dilute properly in home kitchens. 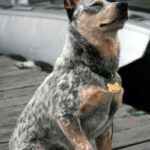 Lemon juice kills and repel fleas and can be used during the spring and summer months when fleas are in season to make a flea collar that is easy to make and is pet and family friendly. Juice two lemons using a hand or electric juicer. Soak your dog’s cloth collar in the lemon juice for five minutes. Alternatively soak a cotton bandanna in the lemon juice. After five minutes, take the collar or bandana out of the lemon juice. Place it on a paper towel for a few minutes to soak out the extra juice. Place the collar or bandana around your dog’s neck. 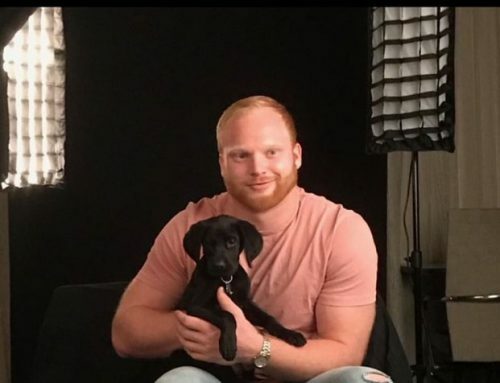 Check the area after an hour to make sure your dog does not have a reaction. Depending on the size of your dog’s collar and the amount of time your dog spends outside will determine how often you will need to repeat this process. 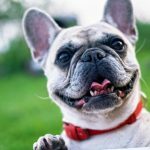 If you follow the other steps to keeping fleas off your dog, you will likely only need to soak the collar or bandana twice a week. Once you have treated your pet for fleas it’s important to address the fleas in the home. Take several steps in the home while treating you dog to ensure you get rid of fleas. Vacuum the carpets and furniture thoroughly each day during infestation. After vacuuming dispose of the vacuum bag outdoors. Sweep tile, wood, and linoleum surfaces each day during infestation. Wash the dog’s and family’s bedding and blankets in hot water. Fleas do not like extreme heat and this will kill the adults, larvae, and eggs. Wash clothing in hot water if at all possible. However, the laundry soap will still take care of many of the fleas but hot water adds extra assurance. light near the dish will attract the fleas and once they make contact with the water they become trapped. Sprinkle baking soda liberally on your carpets and furniture and leave for several hours then vacuum thoroughly. 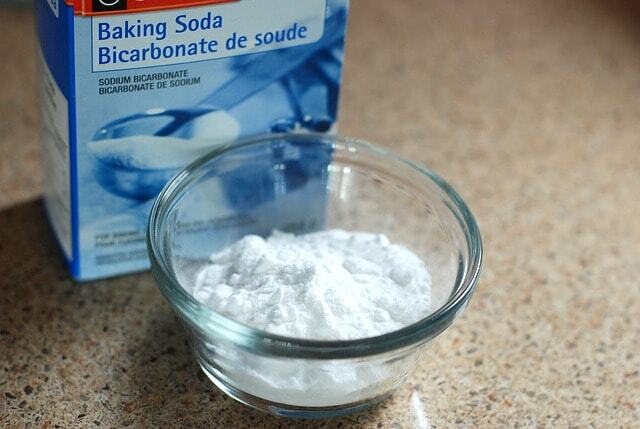 Baking soda is crystalline and cuts the fleas thus killing them. People suggest mixing salt with the baking soda but some people have had good results without using salt. Sprinkle borax on your carpets and furniture (the next section goes more in depth into using borax since it is involves some precautions). Avoid flea treated areas as much as possible. Some skin irritation may occur but generally there are few side effects from any of these methods (borax is discussed next). 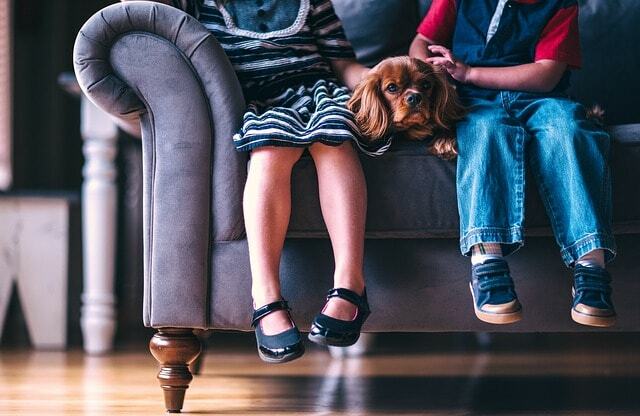 Borax is a popular method for fighting and preventing flea infestations and in the home and can be used safely when certain precautions are practiced. Borax and boric acid powders are sometimes used interchangeably but are different compounds. Boric acid powders like Borax are both derivatives of boron. In Asian countries, artisans have been using the borax since centuries for welding, brazing and glazing artwork and pottery as well as in drugs and pharmaceuticals. Borax is a mild antiseptic and fungicide and has also been used as an eyewash for treating eye infections. What is Borax Made Out of? There is a difference between Boron, Borate, Boric acid and Borax. Boron is an element that exists in nature. Borax is made up of a combination of sodium, boron and oxygen and can be mined from the earth in its crude form. Boric acid is obtained from borax; it is a crystalline derivative obtained by mixing borax with an acid. Borax has been shown to be highly effective in killing fleas and is readily available in the laundry soap section of your supermarket or on online. It is non toxic to skin but when fleas come in contact with it, they get severely dehydrated. Another thing in borax fleas hate are the crystals. Additionally, the razor sharp crystalline structure of the powder at its microscopic level also shreds the fleas’ internal organs making it highly effective in killing flea larvae and adult fleas as well. Do not use Borax around cats! Borax causea severe breathing problems in cats. 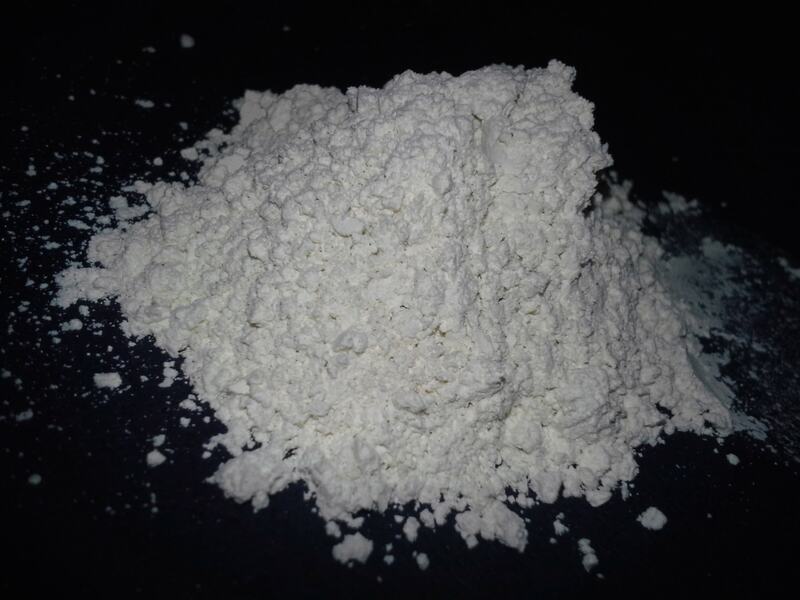 You should keep Borax powders away from moisture as it can render the product ineffective. Wet carpets can also get permanently discolored or damaged if borax is used on them. 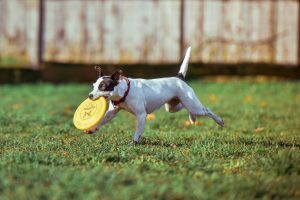 Don’t use Borax powder directly on the pets’ body for killing fleas. Pet owners with young children and babies should use borax powder with extreme caution! When kids ingest it in large quantities they can have severe health complications, skin allergies etc. Sprinkle the borax powder liberally in areas of major flea infestation. You can use a stiff brush to ensure that the powder penetrates deep in the carpets. Leave the borax on the carpet for at least 6 hours or even up to 2 days-longer the better. 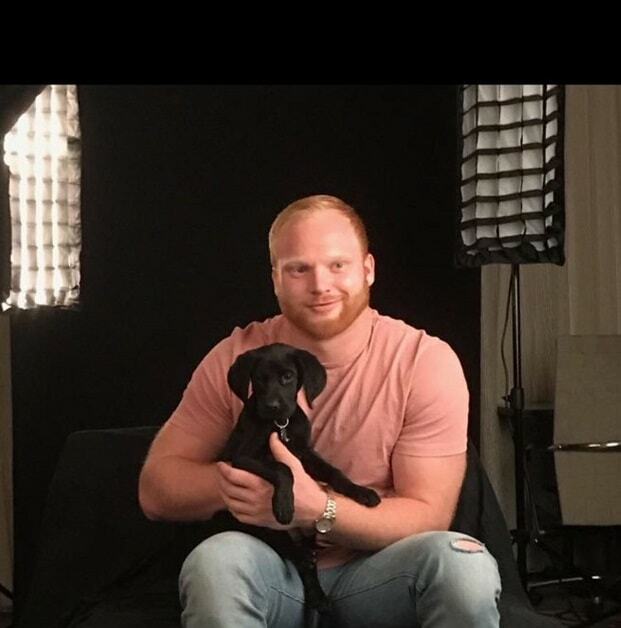 Do not allow kids and pets on the treated areas during this time. Vacuum the carpet thoroughly. Dispose of the vacuum bags outside to prevent larvae and eggs from coming back inside the home. 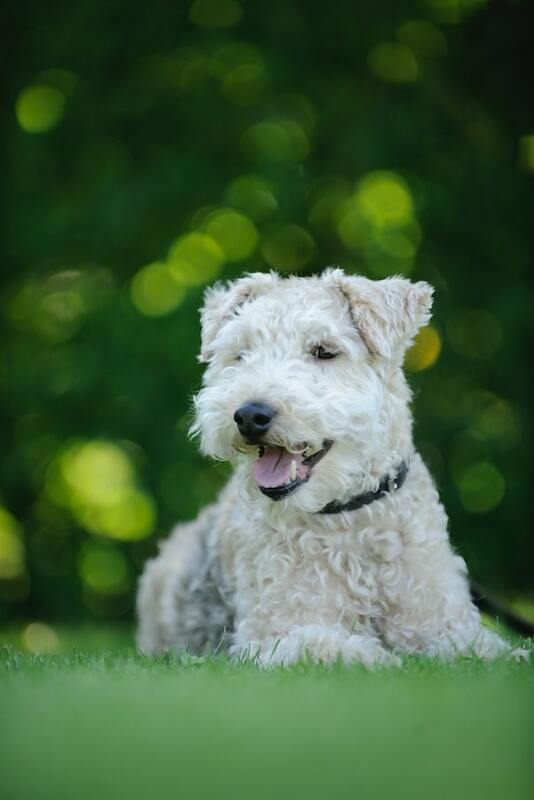 Natural, safe home remedies can be used to treat the lawn as well, avoiding pesticides and chemicals that may be harmful to your pet and family. You can use safe home remedies to change the lawn environment to discourage flea infestations. Flea larvae thrive in temperatures between 70 and 90 degrees Fahrenheit and 75 percent humidity. Fleas hide in tall grass because it provides a shady moist environment. Fleas can hide and wait for an unwary pet or human to pass by. You can disrupt the flea life cycle by mowing the grass a little shorter and by pruning overhanging trees and bushes to allow more sunlight to reach the lawn. Reduce the moisture in the soil by deep weekly watering instead of every day or two. Grass does well with a less often, longer water cycle and this conserves water as well. Clean up plant and yard debris where fleas hide. People find fleas in lumber piles, trash, and seeds scattered under bird feeders. You should limit wildlife habitat to the outer perimeter of the landscape. You can also add a cedar mulch border around the edges of the lawn to discourage flea migration toward the grass. You can apply predatory nematodes that feed on flea larvae to your lawn. Your results may vary, depending on your soil and environmental conditions. Generally, nematode treatments work best in shady locations and sandy soils. For best results, flood the lawn with 1/4 to 1/2 inch of water before spraying a mixture of nematodes and water over the lawn. Agitate the sprayer regularly to keep the nematodes distributed throughout the solution. Repeat the lawn flooding after applying the nematodes, so the microscopic worms can seek out the flea larvae. Applying garden grade diatomaceous earth (DE) over the lawn is another natural method to kill fleas and other pests. The dust abrades and dries out the outer cells of the flea eggs and larvae. Apply DE onto dry grass with a spreader designed for garden dusts. You should not apply predatory nematodes for fleas when the grass is wet. Also treat your pets’ resting areas, dog runs and kennels, where flea larvae and pupating fleas may lie hidden. 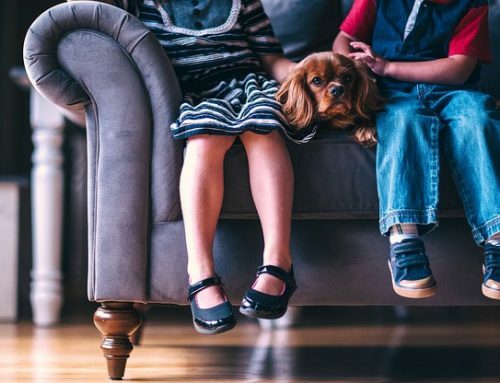 By using these home remedies you can ensure that your dog, your family, and your environment remain happy and flea free without the use of toxic chemicals and pesticides! Let us know your results from trying any of the suggestions listed here!